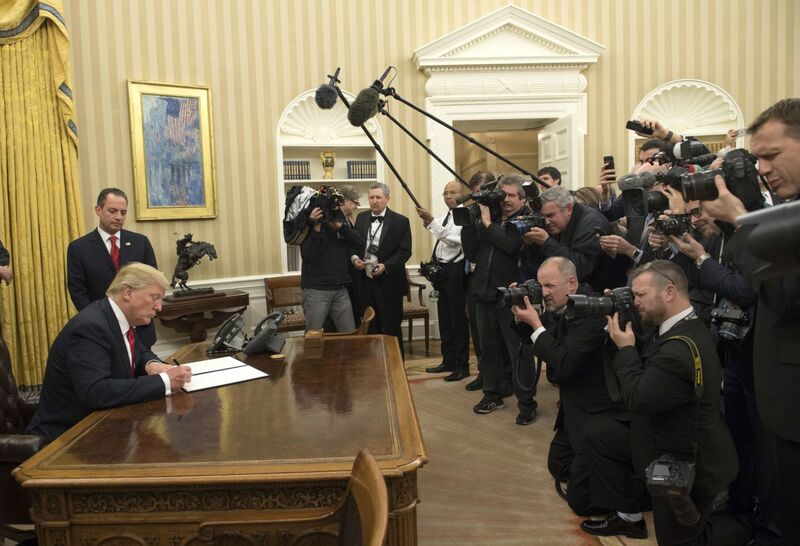 As talk swirls about repealing and replacing Obamacare, President Trump must train his focus on the fundamental error of the ACA, which is the shift in patient care decision-making away from frontline physicians and toward hospitals and insurance companies. Health insurance for everyone is important; however if it comes at the expense of providing quality healthcare to everyone, it is at best a pyrrhic victory. Hospitals are the most expensive and many times inefficient venue for the delivery of care and have contributed to rising costs while also failing to improve the quality of patient care. The root of the problem lies in the Obama administration’s misplaced trust in “accountable care organizations” (ACO)—the integrated care organizations envisioned by the ACA to contract with the Federal government to reduce Medicare costs. For example, the current data from the Centers for Medicaid and Medicare Services (CMS) indicates that the ACA’s Pioneer ACO did indeed reduce Medicare costs—by approximately $700 million in 2014—but required a whopping expenditure of over $1 billion to generate those savings. After accounting for the 50 percent share of savings distributed to the ACOs by CMS, those entities lost more than $500 million. Dr. Robert Kocher, a special assistant to President Obama, is correct in stating that the ACOs failed in their objectives because of the faulty assumption that hospitals and large medical systems were necessary ACO partners due to financing and infrastructure needs. Rather than help the ACOs achieve greater savings, the early data paints a picture suggesting that ACOs affiliated with large hospitals and academic medical centers performed worse than ACOs that were operated by smaller physician groups without substantial participation by hospital providers. The reason for this is simple: large hospital institutions are often bloated bureaucracies that tend to favor referral of expensive procedures to their own facilities versus cheaper alternate forms of treatment. According to the most recent figures from the National Center for Health Statistics, over 32 percent of national health expenditures take place in a hospital setting, compared to less than 20 percent for physician and clinical services. And that figure is growing. In the hospital setting, patients often lose their trusted bond with their physician, who must answer to an institutional employer. According to a September 2016 study by the Physicians Advocacy Institute, from 2012 to 2015, hospitals acquired 31,000 physician practices, a 50 percent increase. As hospitals have accelerated their acquisition of physician practices, healthcare decisions are increasingly being driven by hospitals’ self-interested economic incentives, in particular ACA-enabled diagnosis-related group (“DRG”) payments and “bundled payments.” The latter have correctly been identified in a September 29, 2016 letter to CMS by Secretary of HHS Nominee Tom Price and other members of Congress as “commandeer[ing] clinical decision making” with unknown impacts with regard to quality of care and cost-savings. Hospitals have simply been granted too much authority to order tests and procedures without regard to improved outcomes. Meanwhile, hospital re-admission rates have continued to worsen. According to the Kaiser Family Foundation, the overall proportion of hospitals penalized by CMS for 30-day re-admissions has steadily increased since 2012. In fiscal 2013, 64 percent of hospitals were penalized and by fiscal 2015, 78 percent of hospitals were penalized. Clearly, penalties alone have not been effective in improving the quality of care in the hospital setting. Recent proposals to revise ACO regulations to facilitate formation of physician enterprises that collect Medicare premiums directly from CMS and pool their financial risk are a step in the right direction. Such entities would not have the inherent conflict a hospital-driven ACO has to favor its own facilities over other, potentially more cost efficient providers. Not surprisingly, the hospital industry has been among the first groups to vocalize their concerns about reversals of the ACA. In their protest, the hospitals often argue that a physician-directed system would incentivize excessive testing and other procedures. Yet the concentration of care in hospitals and insurance companies has proven to be a worse alternative. By directly contracting with payors, pools of physician-owned and controlled ACOs would supplant insurance companies and their administrative waste (estimated to be as high as 30 percent of overall healthcare costs). Physicians would be incentivized to administer care to their patients in the most cost effective method and venue. A mix of regulations and outcome measures would ensure that the patients’ health is prioritized. These physician-centric ACOs would also be required to accept a certain percentage of indigent patients in order to enjoy the benefits of participation. Instead of ineffective penalties, patients would have a larger voice in identifying and rewarding physicians that meet their own quality of care expectations, a process that can be organized through an official online database of reviews. Finally, each of these hospital-centric issues has been exacerbated by the acceleration of mergers in the industry since the passage of the ACA. This consolidation was a rational defensive effort by hospitals that (correctly) saw the potential for physician-centric ACOs to disrupt their historic control of patient care in their markets. For its part, the Obama administration believed that such mergers would create efficiencies of scale, yet the actual results have been less price competition and continued pressure on healthcare costs. It’s time to restore healthcare decision-making where it belongs—with physicians. Daniel E. Straus is Chairman and CEO of Care One, LLC, which operates skilled nursing and assisted living facilities. He is also Chairman of InnovaCare Health, a managed health plan.